The owner says they’ll relocate if they have to. Restaurateurs grumbling about prohibitive rent hikes: It’s as New York as a bagel with lox. Midtown chophouse Sparks Steak House turns 50 this year, and received a nice early birthday present from New York critic Adam Platt, who named it the second-best steakhouse in New York. But according to a new report, its owners may soon have to rethink the entire enterprise. The restaurant’s owner and co-founder Michael Cetta tells the New York Post that his landlord, the Durst Organization, has asked for a 100 percent rent increase. This could force the steakhouse to move — and lay off 87 servers, busboys, runners, dishwashers, and cooks — according to a filing with the New York Labor Department. If that does happen, Cetta says he’ll reopen elsewhere. 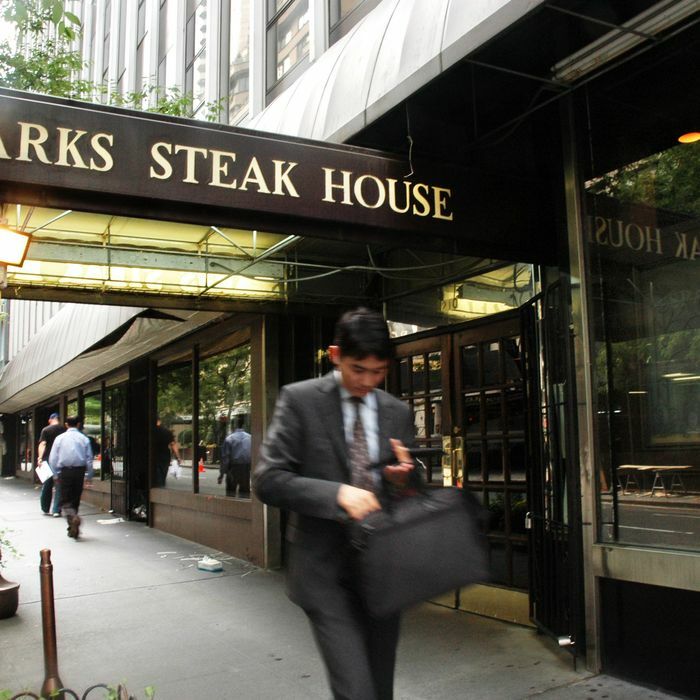 Sparks isn’t the only iconic New York steakhouse to close in recent years. The original location of steak chain the Palm closed in 2015, after the owners sold the building it was in because rehabilitating it would be “an uneconomical choice.” While New York restaurants closing and relocating because of prohibitive rent hikes is, well, nothing new, iconic steakhouses have been bulletproof from economic hardship. But they no longer appear to be immune to the city’s real-estate problems.